easy, and fun. Today’s guest is Jacquie Biggar. any five of these. Please put your answer on the line below the question. “I know it will hit the spot” item. you read about and drool over. out in it and build a snowman? Black Beauty, love anything to do with horses. 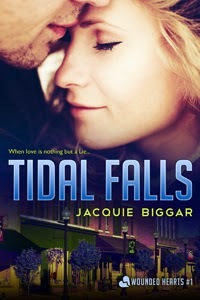 therapy, they escape to Tidal Falls, a small mountain town on the northwest coast. and they settle down to a new life. tenants, Nick, to do repairs on Sara’s house and the sparks fly. catch up to her and destroy everything they’ve built? Welcome, Jacquie. Glad to have you here! Good idea. Quick and easy to read. Chinese food! Really! You surprise me, Jacquie my friend! Love the blurb. Chinese food is fragrant and tasty. I think I'd include this myself. I like Stir Fried Rice. Yeah, I'm starting to think about dinner too.